Thank you! I think we could square them with a chainsaw, let them season under the open shed, (and, yes, we do heat with wood, so there would be no waste, although you get more btu's in the the heartwood anyway. Maybe I could borrow a chipper and use the scraps as mulch under fruit trees.) and when the fence goes in, pay attention to where the water is going. We have so much red clay. Any that is turned up quickly hardpans. Maybe we could construct the fence line on a raised clay berm, plant it with thyme, and anything else useful that likes dry soil, to prevent erosion. The clay berm would double as a rain harvesting "roof". Water draining on the inside could be used along with other soil building techniques to create a growing area with good percolation and plenty of spongy organic material, mulches, etc. where the rain seeps in without puddling. Rainwater on the outside could be directed to a pond or swale system. We have a lot of white oak of different sizes ages and I wondered if anyone used them for fence posts. How long would they last in temperate, southeast climate? Hi all, and thanks for all the great tips. We've been busy taking this idea further and we have come up with All Kids Edible Playgardens! Check it out at edibleplaygardens.blogspot.com . I am posting lessons for simplified permaculture design as we do them together (approved by my PDC teachers). 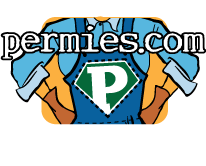 If anyone here on permies is doing permie stuff with their kids, we would love to link you in. Contact info is at the site. See you there! I am beginning work on an idea to teach some simple permaculture principles to kids by letting them help to design their own playscapes. These playscapes could be fitted with lots of materials for experimentation as well: sand boxes, gutters, clay, wind socks, windmills, mini ponds, sundials, garden beds and potting equipment... With these "toys" they would discover through play how natural energies can be directed to perform useful tasks (including their own natural energies!) And, of course, easy to grow edibles would be included: trees, shrubs, herbs and veggies. Small animals, like rabbits, chickens, fish, earthworms and soldier flies could also be raised and their life cycles observed. Vines, bamboo and grasses could be used for different nature crafts as well. Any produce they don't eat can be sold at mock farmer's markets, or even real ones to raise funds for more projects. Children could also get family and friends to sponsor their projects. Each element, whether a garden, pond, playhouse or fruit tree guild, could be considered a "pod", with each item priced within the pod as "peas". Sponsors could purchase a whole "pod" or just a "pea". (Older kids would probably prefer a different illustration). Each child could have a facebook page or blog to post pictures, videos and to write about their ongoing progress so that their sponsors could interact and see how their investments were faring. A more in depth, directed curriculum, with hand-on activities for site analysis (sun, water, wind, soil), mapping, assembling of elements based on relationships, succession, stacking functions and elements, and other permaculture principles, is also in the works, giving the playspace the double function of outdoor classroom. Local farm tours and workshops would also be included, as kids would seek advice from practitioners for their chosen projects. Crafts using recycled materials would have a place, both in their gardens and to raise funds, and they can organize "crop mobs" to help each other out with the bigger tasks. Here's what I've done so far with my two daughters, ages 7 and 9. We sat down and made an idea cloud, just calling out words as we thought of them that went along with an edible landscape/garden/playscape/homestead. Then, I gave them paper and crayons and asked them to draw their own dream gardens. I was amazed at the diversity they included. Do children naturally think in polyculture? The 9 yo drew a playhouse that doubled as a tool shed, complete with a wind vane on the roof, a series of two connected ponds, a fruit tree, a butterfly bush, a traditional veggie and flower garden, a keyhole garden (we watched videos about these a few days before), a picnic table that doubled as a potting table, a brick path, a sandbox, a bunny tractor (chicken tractor with a bottom), a hand pump for water, swarming bees and butterflies, and chickens, pigs and sheep in paddocks (this was not a permanent thing, she said, but was to show they had been through there first to get the soil ready, since that is our homestead practice already). The 7 yo also had a playhouse/tool shed, double pond (with frog and lily pads), fruit tree, bunny tractor, and she added lots more shrub fruits and flowers. There were also lots of rainbows and when her dad asked her how she would grow those, she answered that they would come when it was raining and the sun shone through. (I know, duh, right?) We came up with the idea for a more permanent rainbow with different colored flowers growing on a trellis "tunnel". The next step will be promoting their projects on the web and raising funds. A few different craft items made ahead of time to send as a thank-you sponsors wouldn't hurt either. If we get their projects off the ground, I'd like to expand to include others in the neighborhood and region. I have recently been certified with a PDC, so this project would be one niche to get some design mileage while raising my kids and working on our family homestead. I would love further suggestions if anyone has any. Yes, my 9 yo daughter is really good at finding the egg masses for the spotted salamander. She's been watching them develop inside the eggs every day, waiting for them to hatch. She's also found spring peepers mating beside their egg mass. I've tried to spot peepers several times with no luck. We really are digging those herps! I recently discovered that vernal pools (the kind that fills up in winter and spring, but dries up in the summer) are an important habitat for certain creatures, such as some kinds of salamanders, where they can complete their life cycles away from hungry fish and other permanent pond dwellers. Some return, year after year, to the same pools they hatched in to mate and lay eggs. If yours is in a wooded area, you might want to check to see what's living there.